Blake Lively was glowing as she left the Christian Louboutin store in NYC on Friday. The pregnant actress was layered up in florals and stripes and kept a smile on her face as she headed out of the boutique and into a waiting cab. 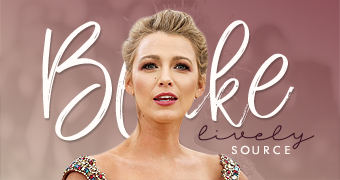 Blake has been out and about in the Big Apple quite a bit since announcing her pregnancy in early October — we’ve spotted her on multiple prebaby shopping trips as well as on the red carpet.